"CaLee was by far the most professional, helpful and involved realtor that we have ever worked with. She was engaged from before we decided to sell (helping us to value the house and evaluate the market), until after we had moved (she even assisted in getting us into a rental while we were in transition). CaLee was extremely active with open houses and marketing activities. Our house sold quickly to a great buyer without any issues." We did a lot of research in selecting our agent and are very pleased with the decision to work with CaLee on the purchase of our home in Ladera Ranch. We really felt that she was advocating for us through each stage of the process and was not going to let us get into a transaction we would regret. It also meant a lot to us that she did not delegate details in supporting us through the process and was always personally available to support us at every stage. She's gone above and beyond all of our expectations. Even after the transaction was completed she has helped connect us with local service providers in her network and helped coordinate the work during our relocation. "CaLee is simply awesome! She is in the top 1% of all realtors. 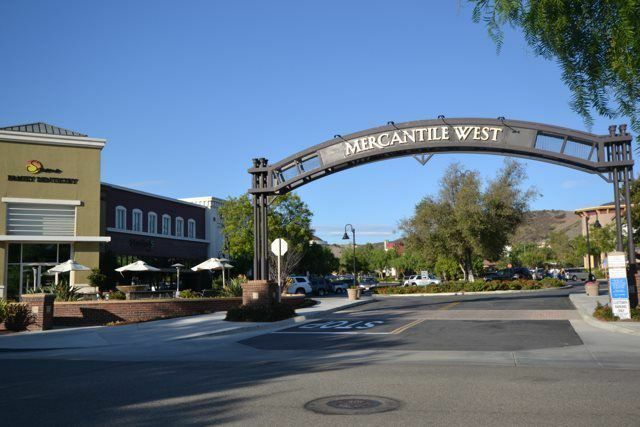 She is super knowledgeable about the Ladera Ranch market, is highly ethical and helps with every aspect of buying a home and more. We had a hard time finding a realtor who was responsive and were moving to Ladera from a good distance. And then we met CaLee and found our dream home. CaLee was a pleasure to work with and she is also well respected by other realtors in the market which is a big help when trying to buy a home. She is the only realtor in Orange County that I would work with. Simply the best." CaLee was the best realtor we ever had, hands down. Looking for a realtor to sell our house earlier this year, we set up a few interviews with local realtors in order to make an informed decision before selecting one. After some bad experiences in the past, we wanted to make sure we chose wisely this time. We immediately liked CaLee. I even found myself calling her for advice and with random questions before making the decision to sign with her. She struck me as so experienced and straight forward. And she was. She answered all of my questions and gave me great advice...no pressure to sign with her. Her work and reputation stood for itself. Our house had been languishing on the market for months, but we had a feeling that she would do the impossible and sell it quickly. We were right. She did an outstanding job and sold our house in a couple of weeks. Today, she continues to answer my random questions and give me awesome advice. We are preparing to buy a house in our new city, far far away, and she is still there for us. CaLee is knowledgeable, professional and a true problem solver. She has served us well twice. She demonstrated her foresight and experience which allowed us to navigate every obstetrical making home buying and selling a pleasure. We would recommend her to all of our friends in Ladera Ranch. Her care has extended beyond our home sale and purchase as she has directed us to contractors, movers, designers and landscape specialists well after closing time. I suspect she has the power to read minds as she is so skilled in her profession. "I highly recommend CaLee as your realtor for selling your home. She is very knowledgeable of the market, and very helpful in assisting you with everything you need to do in preparation for a smooth sale. She staged my home perfectly and had beautiful pictures taken which made a big difference in attracting people to look at the house. It sold very quickly and CaLee and her assistant were on top of everything throughout the closing process." "As first-time home buyers, CaLee was an invaluable resource to us! We were unfamiliar with the process and she was patient, helpful, and answered all of our questions and concerns about the home buying process. She listened to our wants and needs and worked diligently to find a place that was perfect for our growing family. She was wonderful to work with!" "CaLee was very "on-top-of-things" & was able to get us in our dream home. Knows Ladera like the back of her hand. Timely response to matters & questions. Very resourceful! Thank you CaLee, my husband and I appreciate all you did for us in this transaction." "If you want someone who will simply list your house on MLS, stick a sign in your yard and print out fliers, don't hire CaLee because she's the opposite of this type of realtor. CaLee is exceptionally involved in every detail of the selling process, and is clearly the hardest working realtor I've ever known. She'll do multiple comprehensive evaluations of the comps to make sure your home is priced correctly every week it's on the market. She works with a decorator that she pays for herself as part of the staging process, and she helps you figure out what repairs/improvements are needed to get your house ready for market. She then coordinates with the various contractors to get the work done at a bargain price. This level of detail continues throughout the entire selling process, until the day your home closes. Highly recommended!" "We would highly recommend CaLee when selling your home. She is very knowledgeable and very helpful. She staged our home and had beautiful pictures taken which made a big difference in attracting people to look at the house. Our home sold within the first 3 days with multiple offers! CaLee was very helpful in the inspection and repairs process, as we were out of town for much of the time. CaLee works very hard for her clients and is a pleasure to work with." "We were fortunate that CaLee was the listing realtor of the home we wanted in Ladera Ranch, CA. We were not working with a realtor in the Orange County area and asked her for a showing. We immediately recognized her value to us as well as the seller and she did a fantastic job of representing us both. CaLee is very professional, knowledgeable and probably the most resourceful realtor we have ever worked with after several moves around the country. She and her staff were simply invaluable to our relocation, home purchase, orientation and introduction to individuals and services that we needed. Needless to say, we would highly recommend CaLee to anyone at virtually any level"
CaLee was our agent when my husband and I were looking to purchase our first home. As first time home buyers, we were not familiar with the process of buying a home. Not only was CaLee dedicated to help us find our perfect home, she also made the effort to help answer any questions we had, even if it was related to the loan process. I would definitely recommend CaLee to anyone looking to buy a home in Ladera. Much more then your typical realtor. She knows the market and goes the extra mile to make your home ready for a quick sale. I have worked with a dozen realtors and CaLee and her team are the best. We were fortunate that CaLee was the listing realtor of the home we wanted in Ladera Ranch, CA. We were not working with a realtor in the Orange County area and asked her for a showing. We immediately recognized her value to us as well as the seller and she did a fantastic job of representing us both. Needless to say, we would highly recommend CaLee to anyone at virtually any level. CaLee is super knowledgeable about this Southern OC area. As a family relocating to California, she provided the local info and expertise that helped us find our dream house and neighborhood. On top of that, CaLee was always on top of every aspect of a transaction and was our advocate throughout what can be a stressful process. "CaLee is exceptional. She takes charge with staging your home to appeal to the potential buyers. She is a take charge, organized and extremely resourceful realtor. I have nothing but amazing things to say about my experience with CaLee."